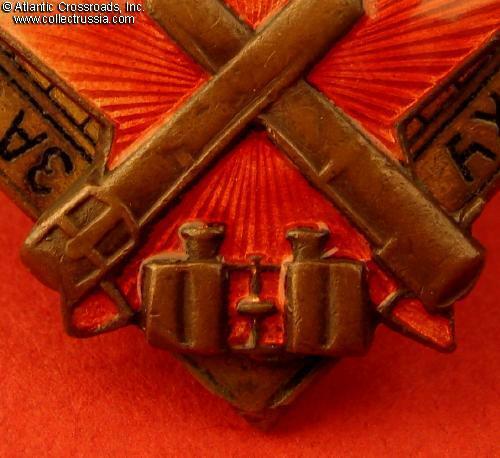 Badge for Excellent Artillery Readiness, #12472, 1936-1941. 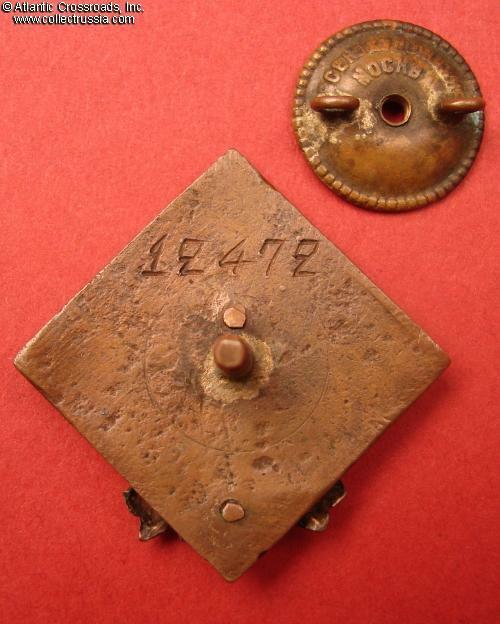 Brass, enamels; measures 38.7 mm in height, 39.0 mm in width. Two-piece flat back construction. 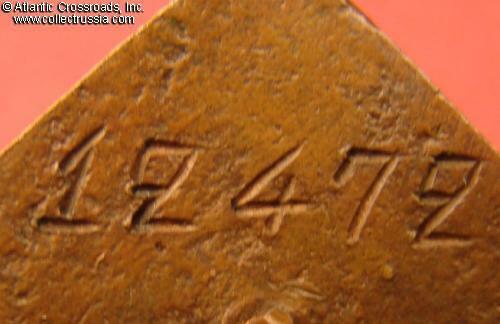 The serial number is engraved in characteristic angular, so-called "geometric" style of the period. This specimen has much darker appearance compared with most others we've encountered, obviously due to larger copper content. The wires holding the parts together are hammered to look almost like rivets. In excellent condition. The enamel on the star is exceptionally well preserved, free of any visible wear and shows very attractive luster. The black enamel in the letters is likewise perfect. There is minor amount of wear to the binoculars and cannon, but their details are still relatively well-preserved. The remnants of the original gold plating on the background is visible near the star. The reverse shows many dings but the serial number is completely intact. 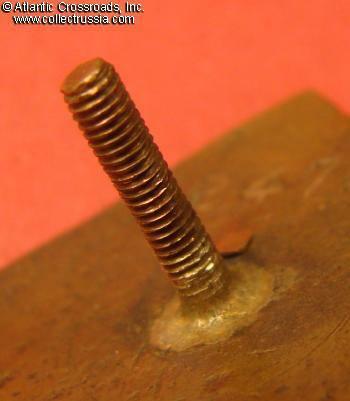 The characteristically thin and long screw post has not been reduced and measures nearly 14 mm in length. 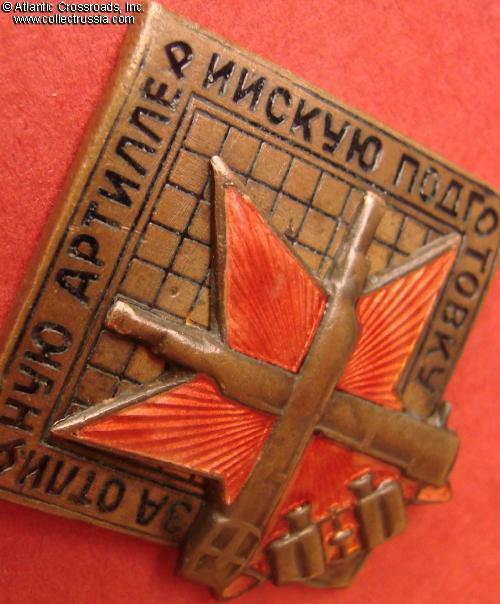 Comes with original wing nut maker marked "Vsekokhudoznik, Moscow". 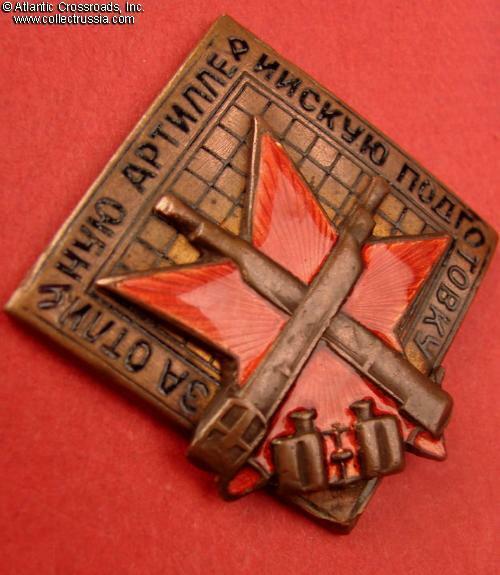 This version of the artillery proficiency award was manufactured only until the beginning of the Patriotic War in 1941. 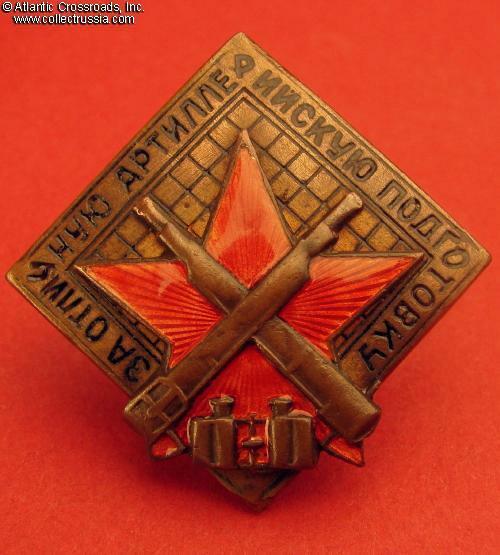 Unlike the similar badge For Excellent Artillery Readiness, the badge didn't have a distinct post-war equivalent.